If you are a college-bound citizen of North Dakota searching for ways to help pay for your education, know that the loan programs offered by this state are plentiful and generous. There is a user-friendly and beneficial system set in place to grant you direct access to these private, or alternative, and public loans that will fund your undergraduate or graduate college degree. 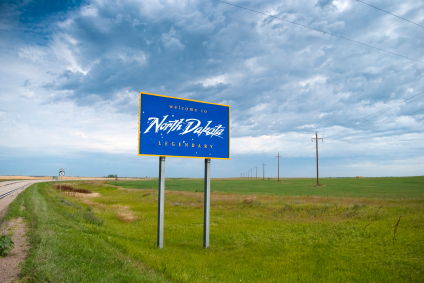 The Bank of North Dakota, serendipitously owned by the state government, provides a number of attractive student loan options to North Dakota residents. BND is akin to a state-sanctioned clearing house for the Federal Family Education Loan Program (FFELP) loans, including college planning tools and articles, interest rate calculators, and even information on the tax benefits of your financial aid package. Above all these useful student resources, the most valuable service provided by BND is their low-cost, alternative student loans for residents of the state. Begin here to find out more about BND loans as well as others offered specifically to North Dakotans. Alternative, or private, loans are those that provide auxiliary funding above and beyond that of your federal loans. When government funding doesn’t cover all the expenses associated with a degree, as it often can’t, private loans can step in to help fill the cracks. Obviously, students who have to pay thousands of dollars out of pocket will simply not be able to afford going to school. Therefore, in the interest of improving the national economy and the economies of the states, most state governments, including that of North Dakota, sanction a private loan via tax-exempt bond monies. When states like this can unleash money that is not taxed by the government, it can then be turned around and offered very attractively to students for their education with the lowest possible interest rate attached. Dakota Education Alternative Loans are open to undergraduate and graduate students who are going to school on at least a half-time basis. Medical DEAL Loans are exactly what they sound like. They act as a more expansive financial aid loan for those students in costly and long-term college programs such as medical school. DEAL loans are doled out based on applicant’s credit history and its merit. Since they are one of the most competitive private loans in the country, with absolutely no fees and a choice of low interest rates, you will want to make sure you complete your application carefully and put your best financial foot forward when applying for a DEAL loan. If you are like over 50% of all college students and have little, no, or bad credit history, you will likely have to secure a co-borrower, or co-signer, for your credit-based student loans. A co-borrower may be a parent, a relative, or close friend who is comfortable entering a significant financial agreement with you. Make sure that the individual you choose has a solid credit history, a good income and an acceptable debt-to-income ratio. The interest rate and total amount of your loan may be based on the borrower’s credit record, so getting a co-signer who is very financially adept is a key to your benefiting from this loan. DEAL loans, like any other, require the borrower to pay on the interest as soon as the loan is disbursed or paid out to the college or university of your choice. At this point, students will begin monthly payments that only cover the very small amount of interest on the loan, which is essentially the “rent” you pay for borrowing someone else’s money for a length of time. The principal, or true amount of the loan, is not due until six months following your graduation, when you will begin to make monthly payments on it. This has become a pretty standard grace period before repayment begins and may or may not be a benefit to you, depending on your job standing and your financial situation. From 2003-2007, one unique loan product offered by BND was the Driver Education Student Loan. North Dakota Students enrolled in a Truck Driving Program could receive a credit-based loan through this program. While it is no longer offered by BND, the bank does offer other special loan programs that are career-specific like this one, so check with them to see if they are offering any similar programs at the time of your application. All students are required to apply for federal student loans before they apply for anything else, such as private loans. Because these private loans are so often necessary to cover the costs of what federal loans don’t pay for, it is not uncommon for North Dakota students to carry multiple loans from various different sources. Students may take the opportunity to apply for their corps of federal loans, including the subsidized or unsubsidized Stafford Loan, Perkins Loan, Parent PLUS Loan or Grad PLUS Loan, in one place right through the BND portal. You can fill out the FAFSA on the BND website and check up on the latest interest rates, and even apply for a Federal Consolidation loan if your payments on multiple loans become too unwieldy to handle and you opt for smaller monthly payments over a longer period of time. The BND hub is truly a one-stop-shop for North Dakota student borrowers. Whether you are interested in a public or private loan, you will be pleased to learn through the array of options offered for loans that North Dakota as a state is highly invested and very proactive in the higher education of its citizens, including helping them pay their way through college. The BND can be your greatest asset in finding the funding options that are best suited to you to cover the expense of your college degree and get you out into the working professional world. Be sure to check with the financial aid office of your college or university, also, to see what they may have to offer you in terms of student loan options for your local area. Take advantage of the resources offered to you as a North Dakota citizen and you will be well on your way to receiving comprehensive funding for your education.